Exclusive collections of pochampally ikkat cotton sarees at Viraja Fashionista. 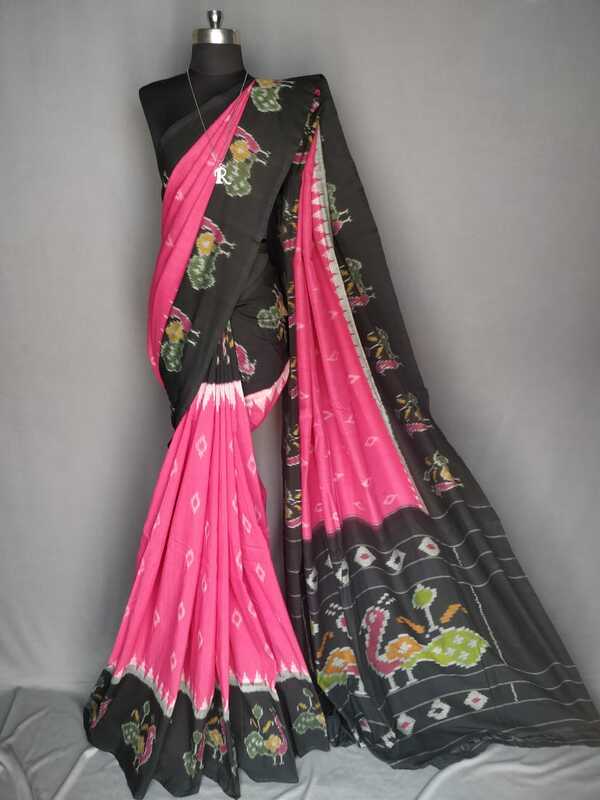 Pink and black Ikkat Mercerised Cotton Sarees without blouse. Disclaimer: Color may slightly vary in real due to monitor or mobile screen resolutions. Note: Pure handloom sarees, so thread missing, thread knot and small holes at the end of the border on both sides of the sarees are not considered as damages.